SSI suppliers shed hundreds of jobs Jump to media player Figures show hundreds of jobs have been lost in the supply chain since Teesside's SSI steel plant shut down. 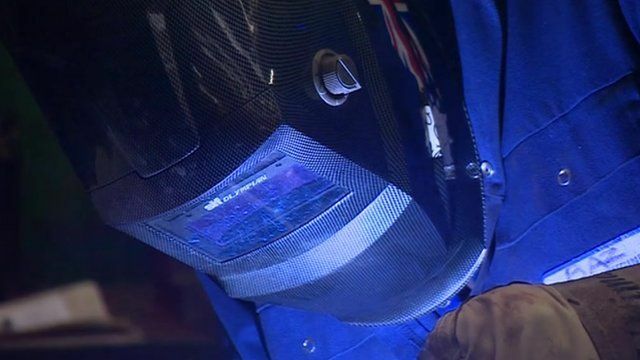 £80m support package for steelworkers Jump to media player The Business Secretary Sajid Javid has announced an £80m support package for the thousands of staff hit by the shutdown of the SSI steelworks. Steelmaking "paused" on Teesside Jump to media player Two thousand steelworkers on Teesside fear for their jobs as steelworking is "paused" by Thailand-based SSI. Figures gathered by the SSI task force show that hundreds of jobs have been lost in the supply chain since Teesside's steel plant shut down. The task force has identified more than 200 companies in the Tees Valley were supplying SSI before it closed, and 24 of those companies have already had to make 834 people redundant. Neil Doyle, director of Peterson Engineering in Dormanstown, said large scale redundancies in the surrounding area were inevitable.